Last year, Dunkin' Donuts partnered with ESPN to create TV spots entirely from Vine videos, and now the two are rolling out a Twitter-heavy promotion for football season. And while most brands treat these types of projects as one-offs, the coffee chain's latest campaign is part of a much bigger push to build awareness around its DD Perks loyalty program. Adweek talked to John Costello, Dunkin' Donuts president of global marketing and innovation, about how the brand has launched 40 products with the help of digital over the past year and why geo-targeted mobile offers work. One of Dunkin's coolest campaigns within the past year was the partnership with ESPN that turned Vines into a TV ad. Are there any stats you can share about it? We have a multi-year TV partnership with ESPN where we sponsor Monday Night Countdown, the pregame show to Monday Night Football, and that's been a very effective TV platform for us. We're continually looking for new, innovative and fun ways to broaden that partnership. The other thing is that we view social marketing as more of a dialogue with your customers than traditional advertising, per se. That dialogue with customers needs to add value. It can provide information about your brand, introduce new products, provide offers or sometimes just have fun. We decided to leverage the fun part of that dialogue in a way that leveraged how much consumers love to talk about football and the game. Rather than running a conventional billboard, our marketing team and Hill Holliday came up with the idea of doing a Vine video. It was an enormous success because it really leveraged what football fans love to do—which is talk about the game—and engage our guests in an innovative way. This year, we're doing something a little different. We’re running a Twitter contest where our customers can predict various outcomes of Monday Night Games [such as] who is going to win the coin toss? What we learned through our partnership with ESPN is that our customers and football fans love to talk about every play of the game and they love to talk about the game on Twitter. If they’re right, they could win DD Perks points—which is our loyalty program—and also enter a sweepstakes to go to the Super Bowl. We’re utilizing the unique aspects of social media—in this case, Twitter—to leverage a very effective TV sponsorship. Twitter seems to be a sweet spot for Dunkin' Donuts in building membership for DD Perks. What's working so far? DD Perks is an important part of our strategy. We launched it earlier this year and we have over 1.5 million customers signed up. Our Dunkin' mobile app, which was launched just over two years ago, continues to grow rapidly with eight million downloads. We’re using both of these to engage our customers and provide them with relevant offers to build their loyalty and business with Dunkin'. The app also includes geo-targeted offers. Are those effective? We will typically provide our customers with offers at the national, regional and local level. For example, in the Northeast—where Dunkin’ has been for more than 60 years—we’re really building on our strong leadership position. In a brand-new market—like California—we’re focused on letting people know that Dunkin’ has opened up new restaurants, so the offers will change. We also have announced plans to test mobile ordering in the fourth-quarter of this year. 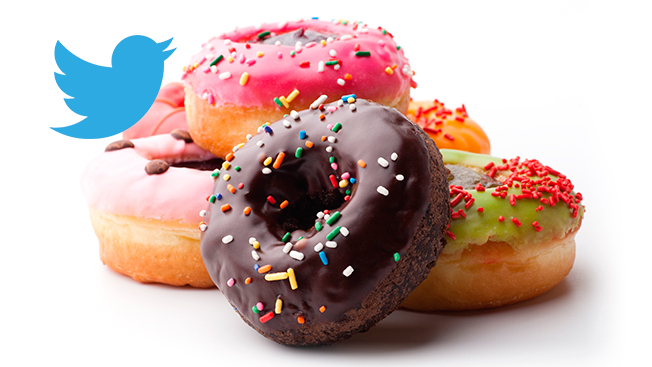 Does Dunkin' Donuts tie together all of its social platforms? One of our interesting learnings is that there is real synergy between mobile, social and traditional marketing. For example, the Jets and Giants in New York City and Philadelphia Eagles in Philadelphia will occasionally run a promotion that says, "If the Eagles win, you win,” and guests will get a special offer on Dunkin’ coffee if their team wins. We have found that traditional local sports marketing combined with mobile marketing works very effectively. Can you talk about any upcoming initiatives? Right now, our focus is launching the new Dunkin' Dark Roast coffee. We’ve introduced over 40 new products over the past 12 months and have a wide range of exciting new products planned for the next 12 months—product innovation is an important part of Dunkin’s growth strategy. Usually, we’ll do a multimedia, multi-screen program, which will be a combination of TV, outdoor and radio along with mobile outreach [to launch a product]. While traditional marketing like TV and out-of-home continues to work very well for Dunkin’, mobile and digital are growing at a faster rate. Check out the below Instagram video to hear how digital fits in with Dunkin' Donuts' traditional marketing, according to Costello.